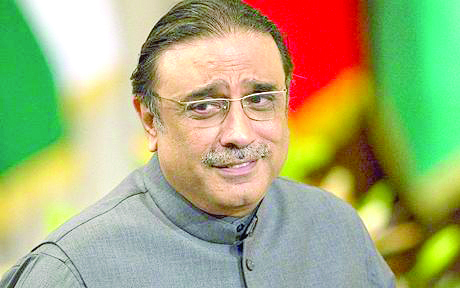 Muhammad Ijaz, the pir of President Asif Ali Zardari, said he had honoured his ‘contract’ with the president so that he could complete his five years in office. He said no one has succeeded in expelling the president in these years. Ijaz was talking to journalists at the Presidency after the prime minister took oath. He attended the ceremony wearing a white shirt and dhoti. He said on his advice the president travelled from a hilly area to a locality near the sea. He said if he had not gone from near the hills to near the sea, the PPPP would not even have formed the government in Sindh. He said he would now do something so that the president could stay in office for two more years. He said he had told Nawaz Sharif’s father that his son would be out of Attock Fort, and eventually Nawaz was released from jail and went straight to Saudi Arabia. He said Nawaz will face no danger if he keeps doing the right things.